Steam Summer Sale 2016 : Squad – Communicate. Coordinate. Conquer. 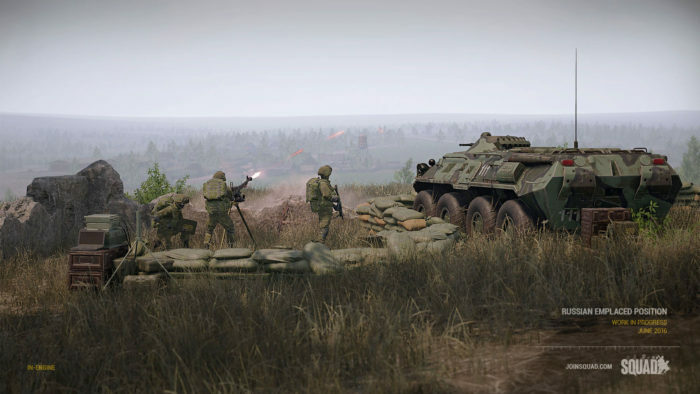 Gamers on average have 22 hours of gameplay in Squad, and that’s just the current infantry-only Alpha 6. 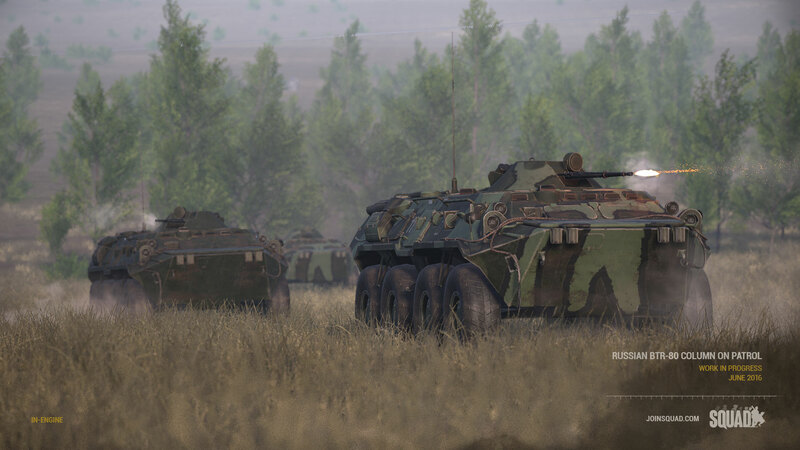 This is the one and only chance to buy on sale before vehicles are released in Alpha 7 this summer. This is also the first time Squad has been discounted since winning the 2015 IndieDB.com Editors Choice Award for Best Upcoming Game. 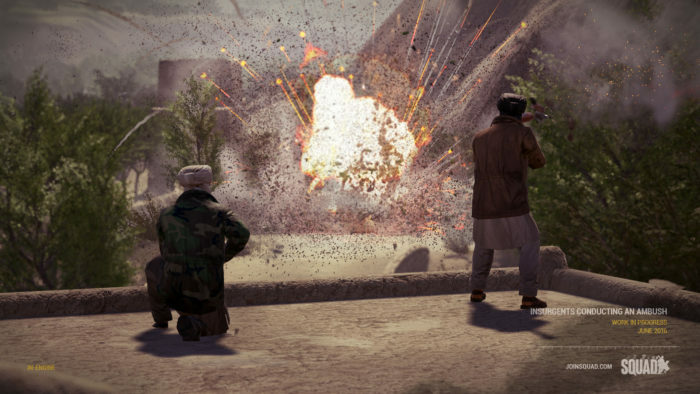 purchase, with continued content updates over the next year and a half as both Squad and the Unreal Engine 4 continue to add content and features. 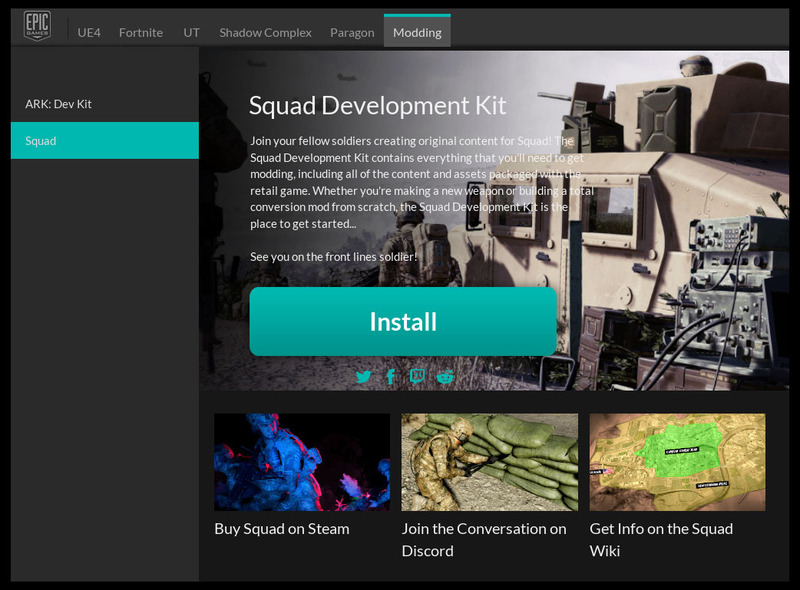 In conjunction with Epic Games, Inc., the developers at Offworld Industries are proud to announce the release of the official Squad SDK, you can download it today by clicking the Get Unreal button at unrealengine.com. 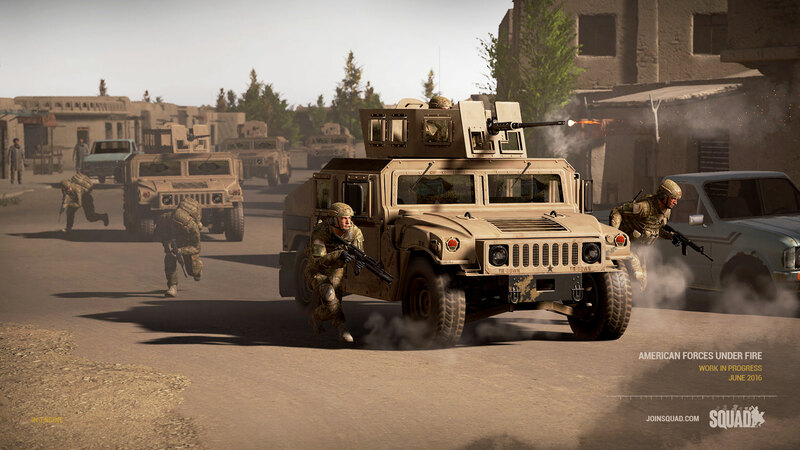 and release a full SDK to the public to open up Squad to modding and assist the next generation of realism FPS modders bring about the next iteration of tactical teamwork based, paced and strategic FPS. Several founders will devote substantial amounts of their time bridging between the modding community and the official branch. To celebrate Squad gaining a SDK tab next to Ark and Paragon, RoyAwesome is a guest on the Unreal Engines official Twitch channel, on Thursday June 23rd 2PM Eastern, 6PM GMT HERE live, you can watch the replay video here later this week to learn more about the future of Squad modding and the nearly 1500 member Modding community that has grown on Discord. Q. What do you call a Lada at the top of a hill? Substitute Lada for Squad in-game vehicles. Substitute climbing hill for 9 months of developer coding. Remember to maintain discipline and not skyline your vehicle in game or the ATGMs and RPGs will get you. 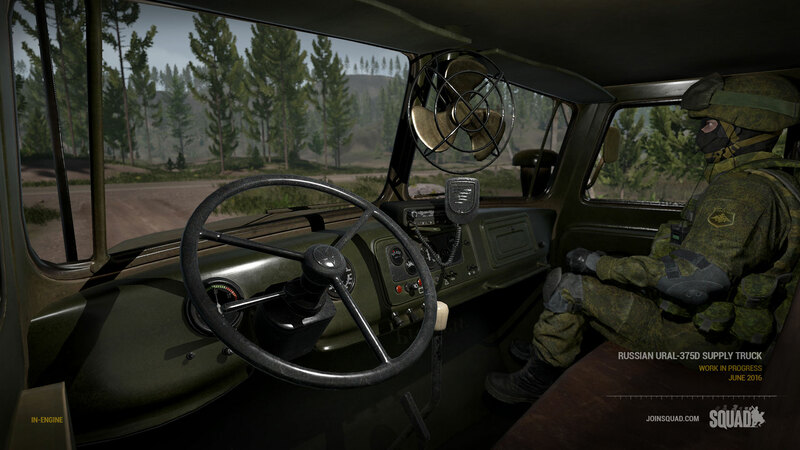 The good news, you will be able to drive a vehicle to the top of a ridgeline in Squad by the end of July. With the Summer Sale comes new Squaddies. Let’s welcome them and get them up to speed. Squad has a learning curve. The learning curve is Squad cost of entry to this world of tactical gameplay, as actions, reactions, and inactions all have round changing consequences. Go check out the 100+ active communities in game, spanning a dozen+ languages and spread around the world. SquadOps sponsored by BlueFangSolutions at SquadOps.gg. A structured role-play style event running each weekend, for those that want to take their Squad experience to the next level. Squad League organized clan vs clan tournaments at Squad.gg. Currently running exhibition matches! Community Clan Fight Night, a weekly event for the last 26 weeks and growing. On Monday June 27, at 2 PM Eastern, 16:00 GMT, RoyAwesome and SgtRoss will be guests on the EFusion livestream on the frontpage of Hitbox.tv. 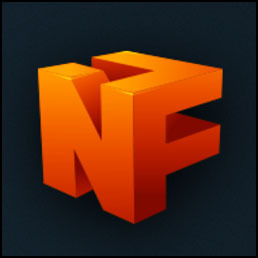 You can check them out here: http://www.hitbox.tv/nationfusion. EFusion will be kicking off Monday, and will run all week with video game industry developers and celebrities dropping in for livestream events.